As Amaya Inc. continues to grow, they have seen the amazing potential with fantasy sports, so they did exactly what you think, they added that to their long list of ventures. They are entering into the fantasy sportsbook scene, and started by acquiring real money operator Victiv. Victiv will be rebranding themselves as StarsDraft as they launch in the US market. 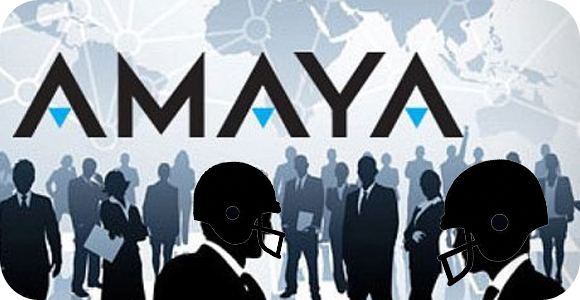 Amaya had already predicted how their launch would be like, as they will be launching for the 2015-16 NFL season. This will be a huge addition to the daily fantasy sports market, as this giant might be able to compete against DraftKings and FanDuel. This whole venture will also serve as a cross-over between its US poker client base and the DFS market. The good thing about this acquisition is that Amaya was smart enough to keep Victiv management on board, and have allowed them to operate the DFS department. With the backing of the billion dollar Amaya group, we could see a lot more of daily fantasy sports betting, as it serves two purposes: 1) a lot of great marketing and client acquisition, and 2) a good way to make some profit. It is known that the margins for fantasy sports sites are lower than traditional sportsbooks, but it is still profitable. With the ever increasing popularity that DFS is bringing, and seeing as how the law in the US allows people to bet on fantasy sports, this is a win-win.